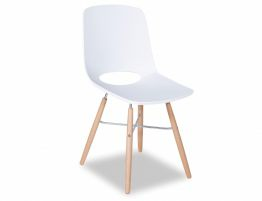 This modern white café chair is available in a myriad of colours but we really love it here in classic white. Is there anything so adaptable and classic as a white dining chair? 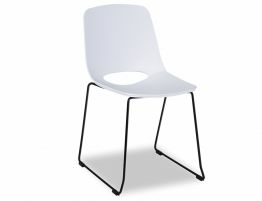 Our Wasowsky chair is offered here in white with a black powdercoat painted steel sled base. 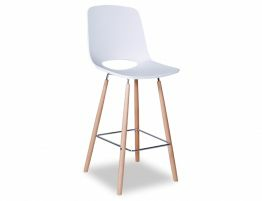 While we love white kitchen dining chairs and modern white café chairs, a white dining chair is often impractical for busy family spaces or commercial furniture applications as a white chair can quickly become dirty, worn or soiled. 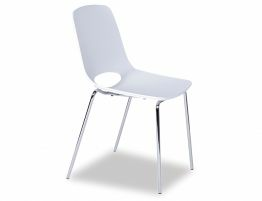 No such worries with the Wasowsky white dining chair. 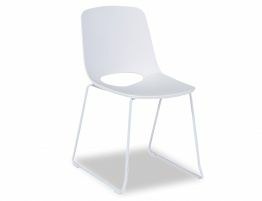 Created from a strong polymer, the white molded seat shell wipes easy for a chair that stays looking new for a long time. No more fretting over sticky kid fingers or messy diners. 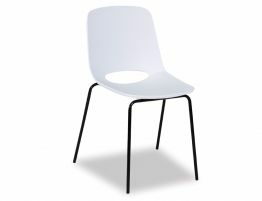 Go white, go simple, go modern and minimalist with the white Wasowsky modern white café chair. 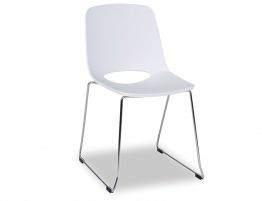 Bring the crisp, modern look of this white dining chair into your space and get the fresh, contemporary look you want.